Originally there were two breeds of cows called ‘Gasconne’. 1. 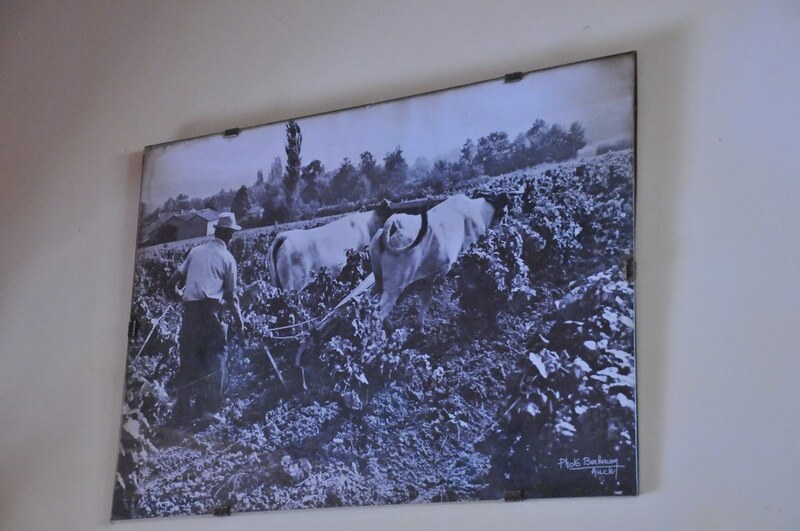 Gasconne Auréolée – from the Gers, tall, pale with pearly colorpoints, used for working the land and vines and for meat. 2. Gasconne Muqueuses Noires – From the Ariège, with grey colorpoints, used for the land and for meat. 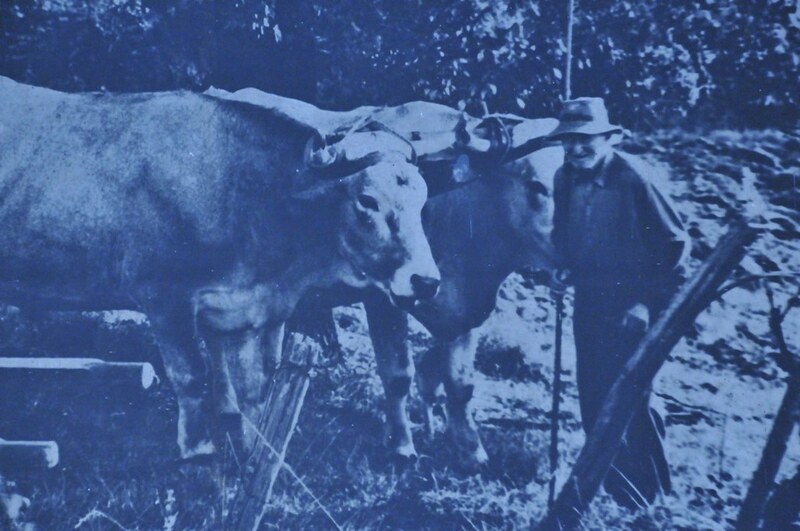 The Gers cow was taller, the Ariège cow was rounder. Back in the fifties the two breeds merged into one herdbook. They consolidated the name and called them just ‘Gasconne’. Then in the eighties they separated again, but with the Muqueuses Noires keeping the name Gasconne and the Auréolée becoming called the Mirandaise. The names are a little odd since the cow from Gascony is called the Mirandaise, and the cow from the Ariège is called the Gasconne, but they are similar enough as you can see from the photos above. There are about 20,000 Gasconne mother cows in existence, nowhere near enough to be a major breed, but way more than the 350 Mirandaise mother cows. The breeds share a bunch of useful qualities – very hardy, do well on pasture, fine meat fibres and the ability to put on marbling. I asked one of the local butchers, Cugini in Éauze, which breed had the best beef. He chose the two Gasconnes – he had just had a Mirandaise through the shop. He thinks they taste the best and have good marbling but he doesn’t pay as much for them. His customers want super lean beef so he prefers the Blonde d’Aquitaine. Plus the larger size of the Blonde makes his butchering work more profitable. He pays 28F/kg for a good Blonde against 22F/kg for a good Gasconne. 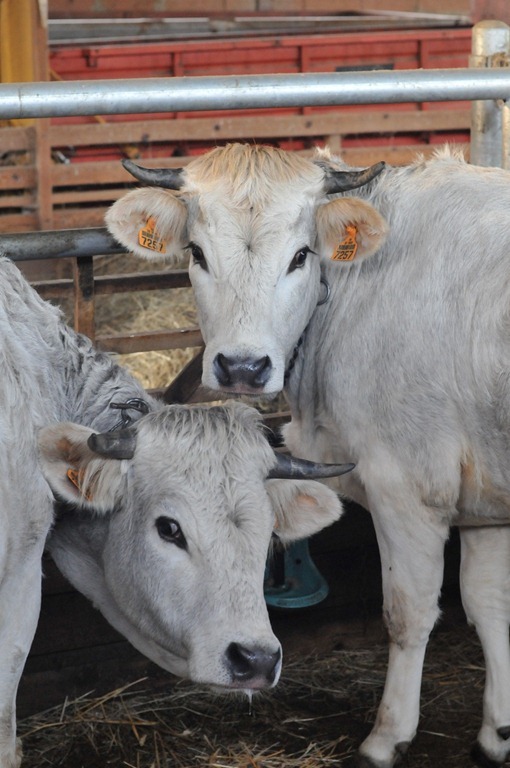 Yes, cow sales are still in Francs. Now we are about producing the best tasting beef for selling to the folk here in the Southwest, not the highest rendering beef for the wholesale market or to ship off to feedlots in Spain and Italy so we’re going for the Mirandaise and maybe some Gasconne, too. I visited one farm that had both types of Gasconne and there were a couple of old photos showing old-school Mirandaise working the land. Life here was like that not too long ago. Many of the farmers I have met used to work with Mirandaise oxen before tractors took over some time in the fifties and sixties. With the rise in machinery has come a drop in the fortunes of the Mirandaise, but we’re going to help keep it going since it earns its keep with fine quality meat. They’re the cow of the Gers and we live in the Gers so we’re keeping it local, too. Our herd won’t all be Mirandaise, but we wanted to start with them. Also of great interest to me is that Slow Food have chosen to collaborate with the farmers of the Mirandaise breed to promote its flavour. We’ve been fans of the Slow Food movement since the nineties and it was a pleasant surprise to find our first cow had this partnership.